Amazon has discounted its own line of products for Prime Day and now is the best chance to get them. You now have the chance to get the ILIFE A4s Robot Vacuum Cleaner at a hefty discount. The smart vacuum cleaner features various functionalities which will allow you to get the job done. 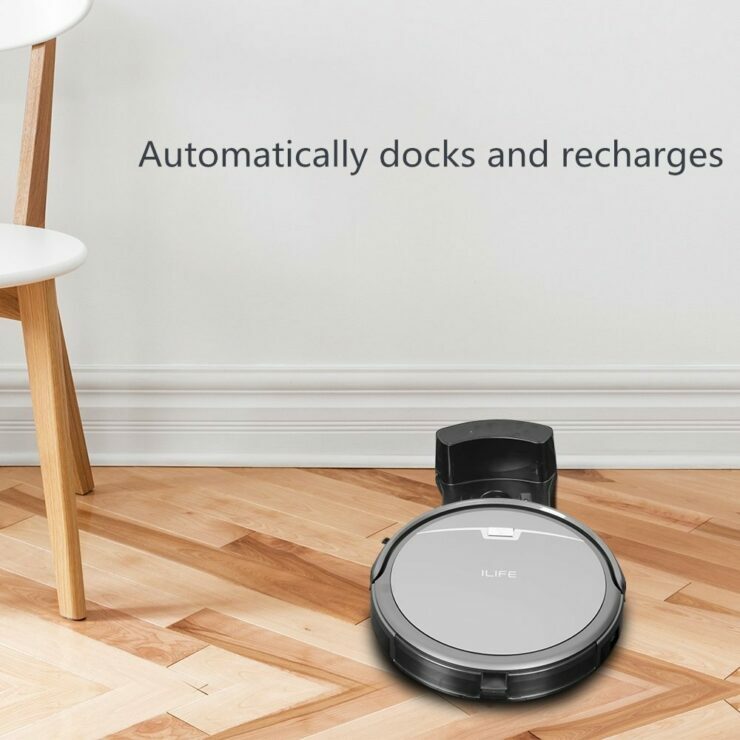 With strong suction power and concentrated cleaning, the ILIFE V4s Robot Vacuum Cleaner delivers peak performance better than the rest of the competition. Let’s dive in to see some more details on the matter. The ILIFE A4s feature a sleek design that does not compromise on your cleaning needs. The strong suction comes from the Gen 3 CyclonePower cleaning system which works for hand in hand with integrated sensors that allow it to charge on its own. The smart vacuum cleaner automatically starts on its scheduling program and returns to its charging dock when the battery is low. The integrated sensors also allow the ILIFE A4s Robot Vacuum Cleaner to not fall off the stairs and bumping around. The sleek design will make the A4s to clean at places where other machines are not capable of reaching. Apart from this, the device also features better battery with up to 14 minutes of cleaning time. If you’re interested, the ILIFE A4s Vacuum Cleaner is originally priced at $179.99. However, after the Prime Day discount, you can get the smart vacuum for $124.99. Simply use the coupon code: It’s the lowest price ever to avail the $55 discount. Be sure to enter the coupon code before checking out. The reference image has been provided which belongs to a different product. You can perform the similar operation with our code. There are a whole lot of other features added in smart vacuum cleaner so be sure to check it out. Apart from this, Amazon Prime Day sales are happening so do check out other deals and offer from us. There will be more offers so be sure to stay tuned in for more details. This is all for now, folks. What are your thoughts on the ILIFE A4s Robotic Vacuum Cleaner? Would you be willing to give it a swing? Share your views with us in the comments.